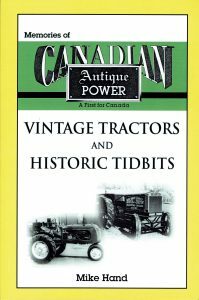 This book contains a series of articles on vintage tractors, both Canadian and others, plus articles about early farm equipment manufacturing, marketing and company history. In this book, Mike has departed from writing from his own research, and has put together a number of articles selected from issues of the long discontinued magazine Canadian Antique Power. 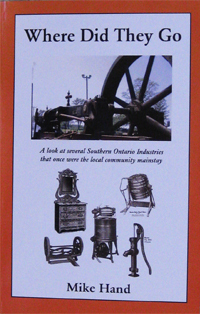 This book contains a series of articles about Canadian cast iron seat manufacturers. 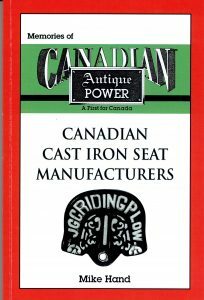 In a departure from writing from his own research, Mike has put together a series of articles covering Canadian cast iron seat manufacturers selected from issues of the long discontinued magazine Canadian Antique Power. This book traces the development of an early telephone system, along with the first automatic exchange. 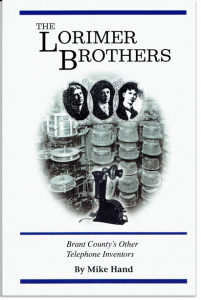 This system was conceived and primarily developed in the city that saw the birth of the telephone by Alexander Graham Bell, Brantford, Ontario only a few years earlier. Read more about Where did they go? 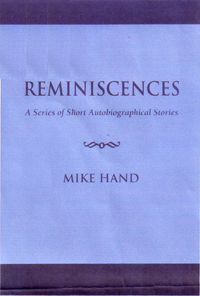 In a change of pace from Industrial History writing he brings to life short tales from true life experiences. Immerse yourself in these real tales from life in the fifties – and more. 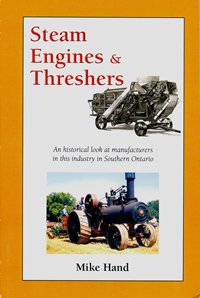 With 129 pages and over 110 illustrations this history traces the life of some of the major manufacturers of steam engines and threshers as the hard work of farming gradually became more tolerable thanks to the continued development of mechanisation. As the twentieth century dawned, Brantford was the third largest industrial centre in Canada. It’s industries employed thousands and shipped products to the far corners of the world, some of them becoming well known names – Cockshutt, Massey Harris, Waterous. This coporate history tells how the Waterous Engine Works company supplied machinery to fuel the development and growth of the country.